Supreme Court Justice Sonia Sotomayor, whose family is from Puerto Rico, said she hasn't yet heard from half her family after Hurricane Maria walloped the island. The high court's first Hispanic justice was speaking Thursday at an event at the Newseum in Washington. She said Puerto Rico "is suffering a great tragedy right now." Sotomayor said that she and her family in the United States are "exceedingly concerned." She asked for the crowd's prayers for Puerto Rico but also the other islands, Texas and Florida that have been recently impacted by hurricanes. Sotomayor's parents immigrated to the United States from Puerto Rico before she was born. Sotomayor grew up in New York. 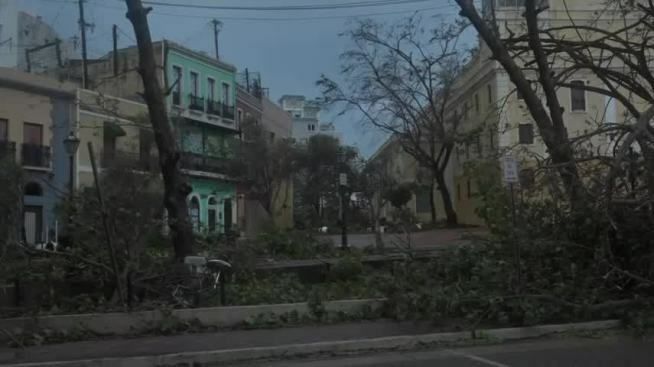 Millions of Puerto Ricans could be without power for weeks or even months. Maria's death toll across the Caribbean climbed to at least 18, nearly all of them on the hard-hit island of Dominica. The storm slammed into Puerto Rico on Wednesday with 155 mph (249 kph) winds, the strongest hurricane to hit the U.S. territory in over 80 years. It knocked out the entire electrical grid, destroyed homes and touched off ruinous flooding, though the full extent of the damage was still a question mark Thursday because communication with some towns was cut off.